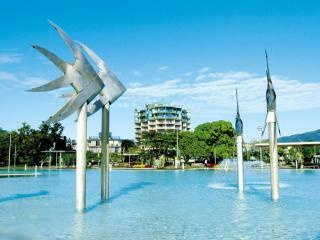 The region is packed with attractions and activities and the choices of Cairns accommodation are equally abundant. Choose from the excitement of Cairns City itself with nightlife, shopping and easy access to reef tours, rainforest tours and hinterland tours. Take it easy with a resort holiday right on the Esplanade or stay in a 5 star hotel room in the centre of town. With the natural backdrops of Trinity Inlet and mountainous rainforests, everywhere you stay in Cairns is beautiful. 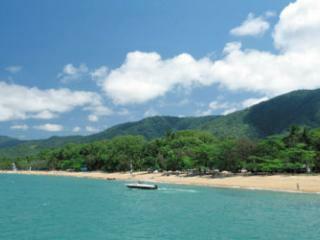 Just 20km north of Cairns is Kewarra Beach, a tiny seaside village located between Trinity Beach and Palm Cove. Kewarra is a good option for visitors wanting to stay close to all the action in Cairns without have to stay in a built up area. Because of its small size Kewarra Beach has limited accommodation options but has one of the most well-known resorts in the region - Kewarra Beach Resort. Kewarra Beach is on the same stretch of sand as Palm Cove. Midway between Cairns and port Douglas, Palm Cove is about 30 minutes north of Cairns. 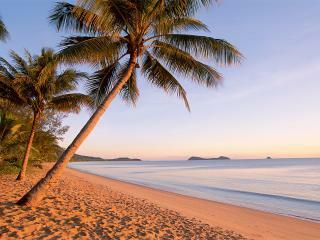 As it name states, Palm Cove is a palm lined sandy beach with a small seaside village facing the beach. Well known for its abundance of resort day spas, Palm Cove is sometimes referred to as the 'Day spa capital of Australia'. The prime location of many resorts right on the beach makes this holiday village one of the top holiday destinations in Australia. Trinity Beach is a popular beach for Cairns locals and holiday visitors alike. Stretching for over a mile with golden sands, Trinity Beach has a wide selection of holiday accommodation to choose from. Along the beach tourists can find luxurious 5 star beachfront apartments and family friendly resort style accommodation. Situated between 2 headlands, Trinity Beach is slightly sheltered from the rough seas and is perfect for swimming and relaxing.